U.N.C.L.E. Promotion – Fight Alternative Crime, making the Music Industry a safer place in which to live. Welcome to U.N.C.L.E. Promotion.  Here you will enter a virtual dossier on what U.N.C.L.E. is all about. Our Mission to fight Alternative Crime, making the Music Industry a safer place in which to live. Two decades and counting, U.N.C.L.E. has built a reputation for being honest, straight shooters, who consistently represent – with integrity – musical artists to Alternative radio. These are bands we've worked with in the past or currently working with that you should check out! Our mission, and we choose to accept it, is to be an Underground Network Committed to a Lifeline of Entertainment, make a positive difference in the accessibility of Alternative artists, and labels, primarily through effective radio (terrestrial, satellite, on-line) promotion and grassroots marketing by providing honest, enthusiastic, and strategic representation and support.